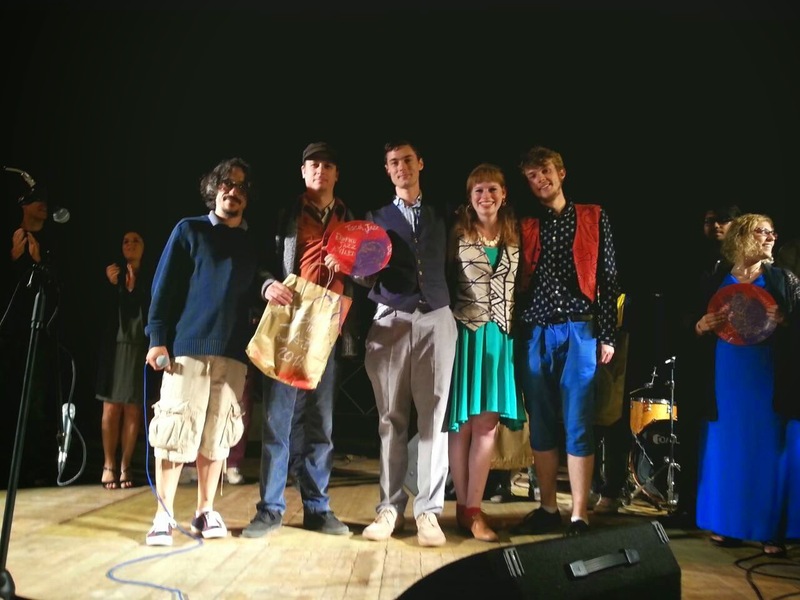 Aeroplanes at Brescia, a trio featuring three LCoM graduates - Adam Taylor, Katie Patterson and Sam Dutton-Taylor - have won the prestigious Jimmy Woode Award at the Tuscia in Jazz festival in Italy. The band performed two sets of original music in the semi finals and finals, beating stiff competition from 4 other bands from across Europe. In addition to the main prize, drummer Katie Patterson also picked up the Up and Coming Musician award. They will return to the festival next year to perform a gig which will be recorded and released by Euronote Records.